Clauss House: What would YOU do for some free Chick-fil-a? 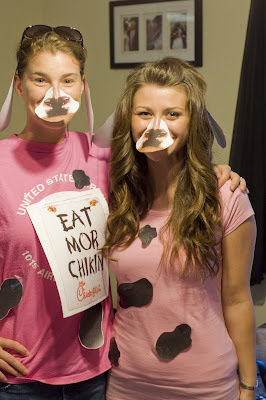 What would YOU do for some free Chick-fil-a? Well this is what Kristin and I did! 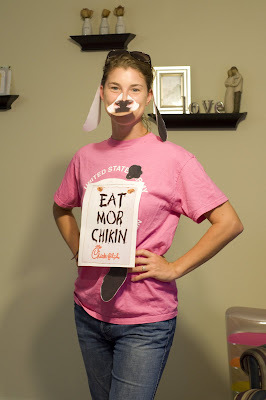 It was cow appreciation day today at Chick-fil-a and if you dressed up like a cow you got a free meal- not just sandwich, we're talking fries and a drink too! 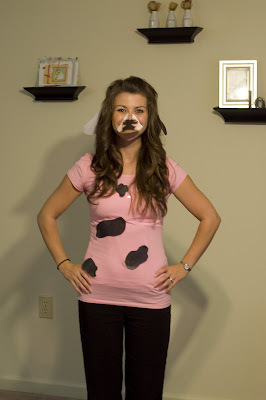 Thank you Chick-fil-a for a yummy dinner, and momma for e-mailing me the info and cow get up! That's so cute! By the way, your hair looks so cute curled like that, it looks almost blonde too. thats awesome!!!! Chick-fil-A FREE is the best meal you can get!! 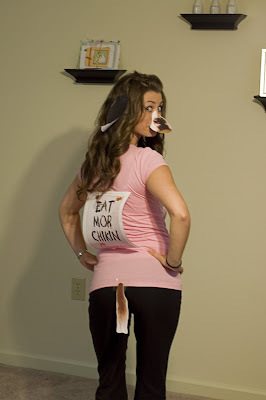 u actually did it...to funny! we are retards...but it was really tasty and free! I would do it again!